Each staff member goes through an extensive hiring process including a criminal history background check, reference checks and an interview. Staff receive over 40 hours of training including training in camp program areas, relating to children, health and safety skills and are First Aid and CPR certified. 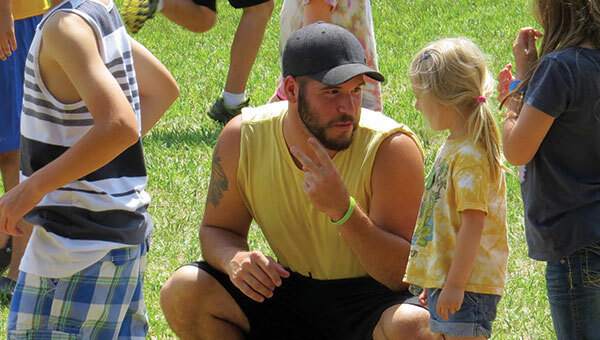 All staff are committed to being positive role models for campers. Lost items will be held for one week, and after that they will be given away to a local charity. Please check with the Camp Staff AND the branch for lost items. The lost and found is located in the North Pavilion. All families will have an opportunity to look for lost items on family night. We will do our best to help campers remember their things, however, the YMCA is not responsible for lost or stolen items. What about rainy days and severe heat? Camp is held rain or shine. We have many fun-filled activities planned for rainy days. CAMPERS MUST DRESS ACCORDINGLY FOR THE WEATHER WITH APPROPRIATE RAIN GEAR! Your child may come home wet and muddy. Activities are modified outside to fit rainy days and will continue as long as it is not lightning or thundering. Some of the best camp memories for children can be had on rainy days! To keep campers safe during extremely hot days, we will occasionally cancel certain activities. We always encourage campers to drink lots of water and will play more water games and stay in the shade. Is camp prepared for severe weather? All of our staff have been trained in emergency procedures. If a tornado warning has been issued while the children are at camp, they will be instructed to go to the Tornado Shelter. The camp director will notify the YMCA immediately if the bus will be delayed. What should I do if someone else is picking up my camper? If you are arranging for persons who are not on your authorized to transport list to pick up your child from camp, you must send a written permission slip. We will not accept phone calls. Authorized individuals will be responsible for signing your child in and/or out. VERY IMPORTANT: you and all authorized persons need a picture ID to pick up your camper(s)! What if I’m late for pick up? We will try and reach you on the primary phone numbers listed on your child's registration. If we do not reach you, we will call persons listed as emergency contacts. Campers will be transported to the Before and After Care site at the North Pavilion at camp. After 1 hour we will call authorities to ensure the safety of your child. I’m nervous about swimming. What can you tell me about it? All children at camp will have the opportunity to swim. In addition to a 1:25 lifeguard to camper ratio, counselors are required to be engaged with the campers when their group is at the pool. Children will never be forced to swim if they don’t want to. Campers are required to take a swim test to ensure their safety. Campers may be required to wear a life jacket depending on swim ability. All 4-5 year olds are required to wear a life jacket regardless of swimming ability. What are the safety guidelines followed for boating? Our boating program is an introductory opportunity for children to learn basic boating and safety skills. All children and staff wear life jackets while in the boats and a Certified Lifeguard is always present and in sight of all boats while children are boating. What if my child(ren) is ill or will not be able to attend Day Camp during the week? Please call camp. If no one is available to take your call, please leave a message. What if my child is injured during the program? If your child is injured YMCA staff will notify you. Call 911, perform immediate First Aid and contact you. After 911 has been called, it is then up to the emergency response team to decide what actions will be taken. Staff will accompany the child to the hospital and stay until the parent/guardian arrives, if emergency transport is required. If a parent/guardian is not able to be reached, we will continue to call through your designated emergency contact list until contact is made. My child needs care before and after the bus stop times. What is available? Before and after care is available at Camp Kumalya at the Lake Elmo Park Reserve (park permit required). You must register and pay in advance. Before and after care provides the camper with supervised activities prior to and following the end of the program day. My child mentioned something about emergency procedure drills. What exactly are these? To ensure the continued safety of all campers in case of an emergency, we will hold emergency procedure (waterfront emergency, lost camper, tornado warning, bus evacuation) drills on a regular basis. It is important that your child participate in these drills, just like they participate in fire and tornado drills at school. Your assistance and understanding in this matter is greatly appreciated. Is your question not listed above? Find more answers or submit a question to YMCA Customer Service!